hd00:10PISA, ITALY - JUNE 2016: Zoom Baptistry, Duomo, leaning tower. Tourists lounge on grass near immense Baptistry. The Baptistry also leans slightly; Piazza dei Miracoli (Square of Miracles). hd00:45PISA, ITALY - March 11, 2016: Tourists on the grass with cathedral in the background. 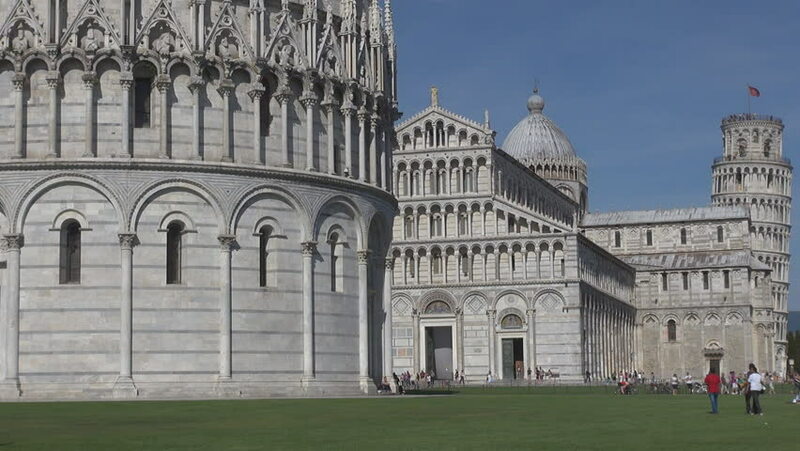 hd00:36PISA, ITALY - March 11, 2016: Tourists on the grass with cathedral in the background.